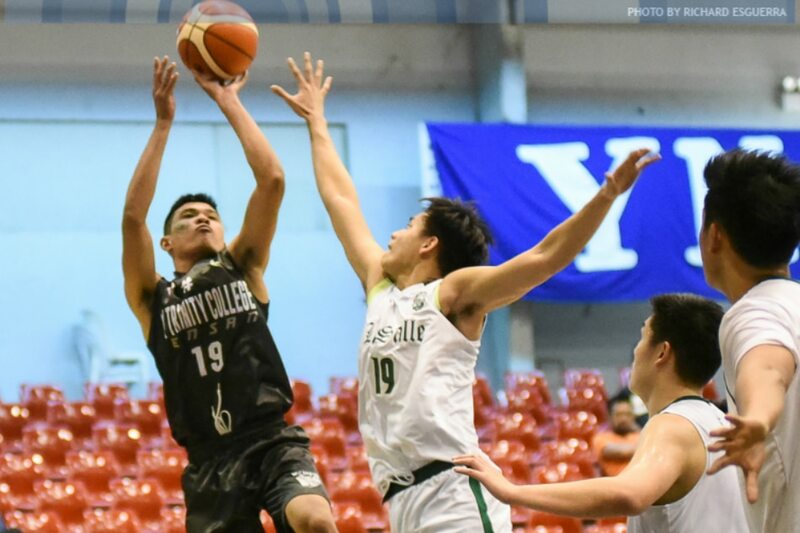 MANILA, Philippines – Holy Trinity College opened its campaign in the Elite 8 of the Philippine Collegiate Champions League (PCCL) by defeating De La Salle University, 75-69, on Thursday at the Ynares Sports Arena. 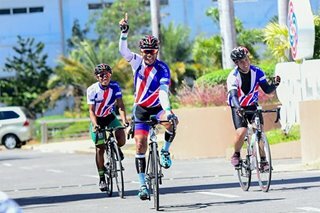 Holy Trinity, the qualifier from Mindanao, took full advantage of the Green Archers' inexperienced line-up as none of La Salle's key players – Aljun Melecio, Kib Montalbo, or Andrei Caracut – were playing in the Elite 8. Instead, La Salle sent its Team B in the competition. Joseph Diamante had 21 points and six rebounds for Holy Trinity, while Leomark Salas contributed 20 points. They had a massive 51-38 advantage over La Salle on rebounds, and got 51 points from their bench players. Antonio Yang led La Salle in scoring, with 21 points. The Green Archers made only 34% of their shots and were 3-of-23 from beyond the arc. In another game, San Beda University outlasted San Sebastian College in an all-NCAA showdown, 70-67. AC Soberano knocked down the go-ahead three-pointer with 37 seconds to go, giving the Red Lions a 69-67 lead after they trailed by as much as nine points in the fourth quarter. A miss by RK Ilagan forced San Sebastian to send Javee Mocon to the line, where he made only one of two free throws. But the Red Lions hacked out the win after Ilagan missed a triple in the Golden Stags' final possession of the game. Robert Bolick and Soberon each had 14 points for the Red Lions. Alvin Capobres had 14 points for San Sebastian. Meanwhile, defending UAAP champion Ateneo de Manila University crushed Naga College Foundation, the Luzon qualifier, 84-69. The Blue Eagles led by as much as 19 points in the lopsided win. Thirdy Ravena had 15 points, 14 rebounds, and nine assists in the victory. Emmanuel Ojoula exploded for 34 points and 14 rebounds, but did not get much help as Jaymar Allarey (14 points) was the only other player in double figures for Naga College.